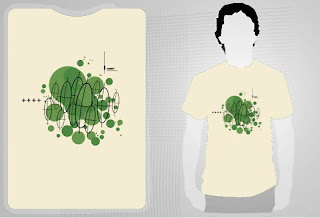 Three new shirt designs available in the DesignbySolo clothing shop. The first design is entitled Ambit, and is based off a sketch that I made several years ago (while still in college). The second design, entitled Live Free..., is a continuation of the Be Free... design, which features running horses (a herd of horses are featured on the Live Free... shirt). 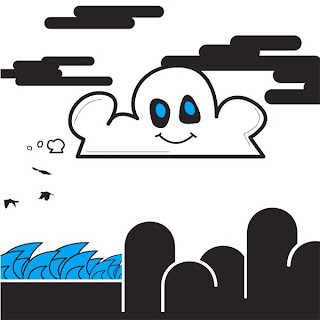 The third design is called Rainy Day, and is based of the animated movie I recently released on this blog, entitled Cloud. 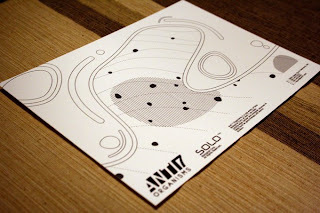 A fantastic print by Build. 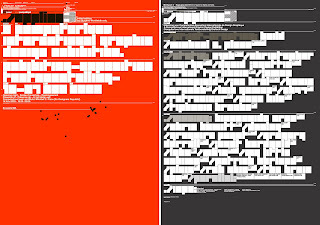 Such a great typographic feat (and highly illegible)... 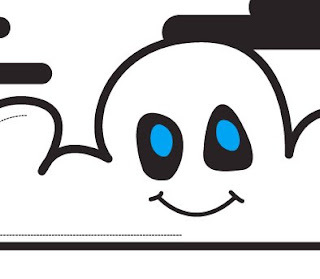 I am pretty sure this is a personally designed font, as I can not recall ever seeing it anywhere else. Great placement with information breakdown. 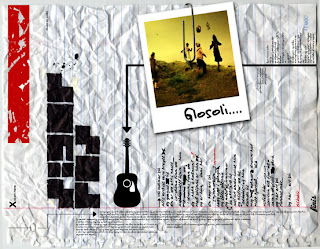 A piece of work I did in honor of the Icelandic band Sigur Ros upon the release of the song Glosoli. 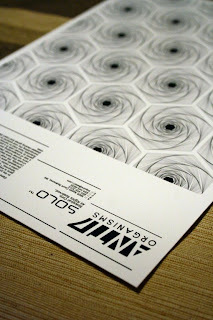 The lyrics and other information about the band are featured on the print (in Icelandic). If you haven't heard their sound already, be sure to check them out. A photograph of a cenote in the Yucatan area, Mexico. Swimming here was a blast, the water was crystal and cool. An unbelievable history surrounds the cenotes of this region which makes the experience even more enjoyable. Taken with my Lomo LC-A+. As a freelance designer, I am constantly looking for new projects and new clients. 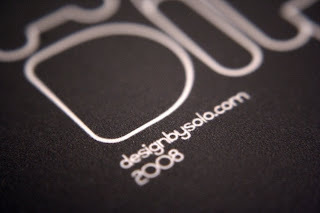 Hire DesignbySolo for your design project, today. 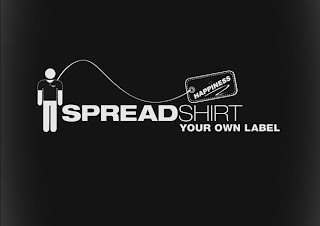 Spread the word, tell your friends, don't be afraid to drop me a line (or a call). 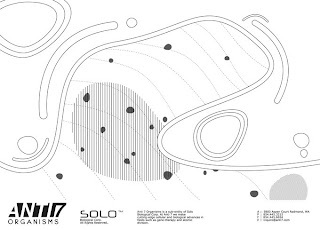 If you have a design project you need a hand on or are looking for a artistic new spin on an existing entity, contact DesignbySolo. From print graphics, to identity (logo), or web I can be your design solution. If you don't have a current project but want to hear what my design principles are like, want to see more of my work, or simply want to discuss design in general, feel free to get in touch. Happy Easter for the last time! (This will be my final post and print addition for today). These are my most recently completed works. 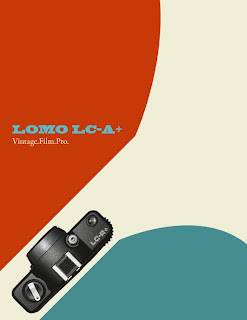 This is a full (double) set of ads created to promote the Lomo L-CA+ camera. This is actually a camera that I own and use as a primary source of photography. 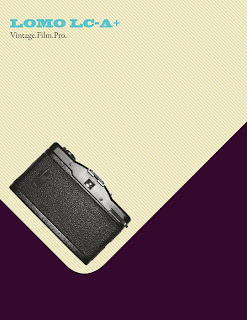 The Lomo is a Russian designed, plastic, lo-fi, 35mm film camera with a glass Minitar lens. These ads hold to the vintage feel the camera lends to the film (which is where all the popularity stems from)... while maintaining a fun, clean feeling (not too organic). 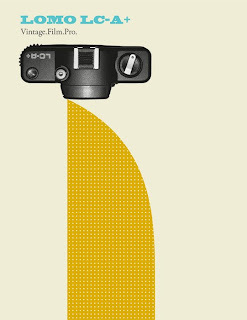 I photographed the camera in three positions (front, back, and top) and made two ads featuring the camera from one of the positions. 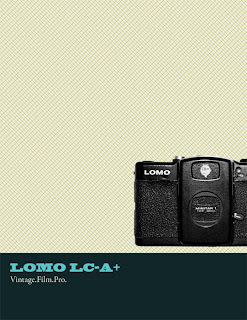 No real information on the camera is given, simply a catch phrase that I came up with (with minor tweaks) that reads: Lomo LC-A+ Vintage.Film.Pro. // Anyway, hope you enjoy and I would love to hear your comments. 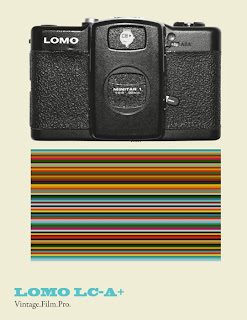 Visit Lomography.com to check out the Lomo for yourself. Happy Easter again with my second set of new prints. I designed these prints (entitled: El Castillo, Templo de los Guerreros, Tzompantli, and Templo de los Jaguares) from pictures I took while visiting Chichen Itza located in the Yucatan Peninsula, Mexico. The pictures are of the Ziggurat, the Temple of the Warriors, the Wall of Skulls, and the Temple of Jaguars. 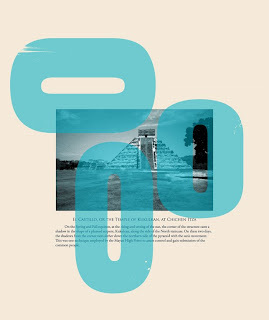 The overlapping opaque objects are simplified icons modeled after Mayan symbols (the one on El Castillo is modeled after the head of Kukulcan). 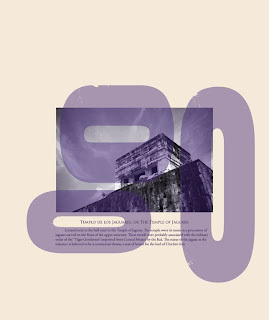 The color scheme was also chosen from traditional Mayan colors (the color used in the El Castillo print is the unique Mayan Blue used by the Mayans to paint ritual ceramics and offerings). These were designed for personal purposes, as I plan to get the set printed, matted, and framed. Enjoy. First of all, Happy Easter! 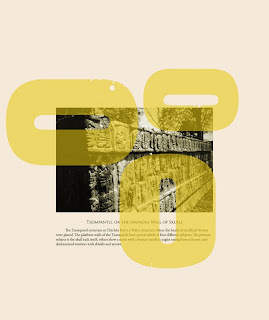 I have decided to release several of my new works that have not been previously released today, all at once. I usually release my work a little bit at a time, therefore if I am not designing much at any given time I will still have something new for people to check out when they come to the blog. I have decided to release these pieces all at once though, because even though they cover a lot of different areas and serve different approaches, I feel that they point in the direction of the evolution of my style. Anyway, this piece, Colour Theory, was designed as a print in homage to a similar piece that I found on the net and fell in love with. 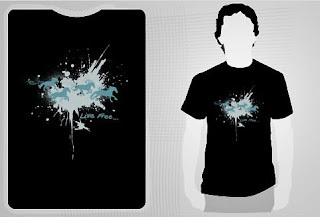 I have custom text usage with this print as well as a "dedication to the fans" paragraph and a few basic colour facts. Completed in Illustrator, hope you like. 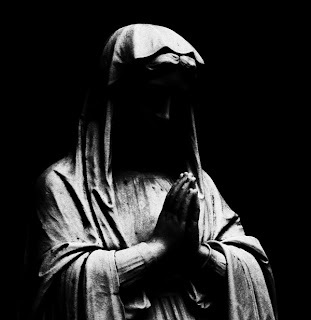 Something a little different from my usual photography, this a black and white picture of a statue of Mary residing in the gardens at St. Mary's Cathedral outside of Cincinnati, OH. A really great statue, I took the photo with my digital and then severely altered the contrast to give the photo a more ominous look (reminds me of an assassin or such). Anyway, I know it isn't my general style but I hope you like it. 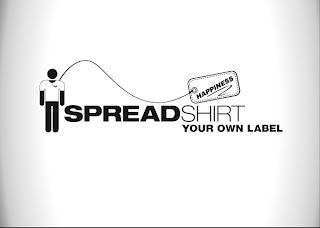 This was my primary design for the Open Logo Project 1.6 hosted by Spreadshirt to find a new logo design. 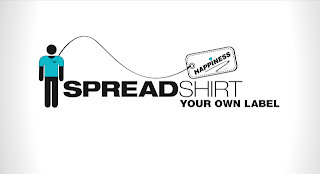 My idea was to use a person symbol (like you see on restrooms) to keep it general and anonymous, outfit him with a t-shirt and have a tag coming off of him that says, "Happiness." 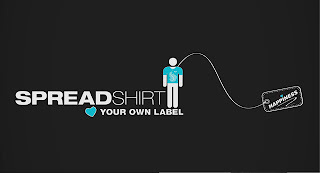 The catch phrase being, "Your Own Label." I think it turned out nicely and I explored it in several avenues as seen above. The contest had 2000+ entries (some of which were highly imaginative and skillfully executed) and my design wasn't chosen as a winner. Although it was not chosen, I had a great time designing it and enjoyed seeing the diversity in the designs that others came up with. Had a great idea for some new designs but didn't really have a compensated outlet for the designs so I simply used my imagination instead. I created a biological corporation that specializes in cellular studies, gene theory, etc. called Anti7 Organisms. 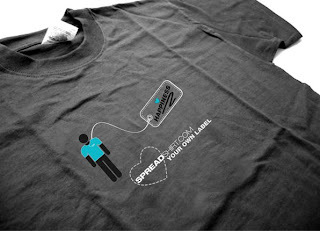 I created a logo for the company and did a couple prints featuring a biological or genetic look (think microscopic). Anyway, here are the results... let me know what you think. 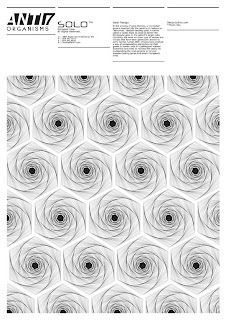 I had the wonderful privilege to have not one, but two of my new print designs to be featured in the artist magazine Iniciativa Colectiva. Essence and Revolution are both featured in IC issue 9 on pages 28 and 29, respectively. You can download a copy of the magazine from the IC website, so check it out if you get the chance or just want to see some really inspirational work. 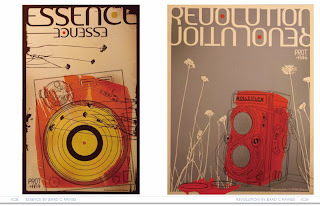 Print versions of Essence and Revolution can be purchased at the Solo Shop. Another great piece that I have very little background on. Cyrillic text, wonderful illustration and great composition. 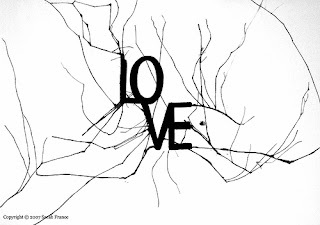 This piece works well in black & white but I would love to see it in color (a lot of color). The negative space between the bird and the text is perfect. Nice use of a serif font as well. Basking in the heat of the sun... That's how I felt today, after three consecutive days of snow the sun finally came out to heat things up again and it felt good. 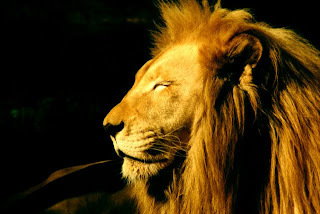 An amazing male lion at midday lying in the filtered sun, shot with my Canon digital last summer. I can't wait until summer comes around again. 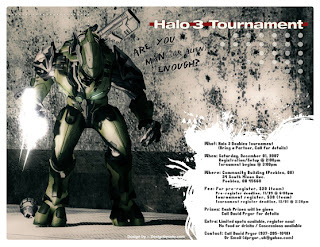 Did this poster design as a promo for a Halo 3 tournament a friend of mine was hosting. 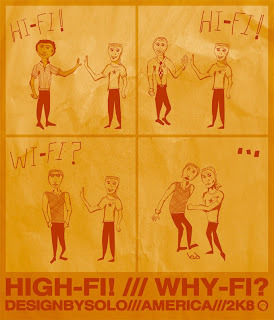 Art direction was totally up to me, as long as it contained the proper wheres and what times. With with a pixel based font for the information, to go along with the video game feel and choose a nice sans-serif font for the title information. I snapped the screenshot myself from an in-game video and applied some grunge/warlike effects with a muted color scheme.... The tournament was a blast. This version of the "2001: A Space Odyssey" movie poster is one of the best I have ever seen. Granted, I haven't seen the movie, but the subtlety and starkness of this poster is outstanding. 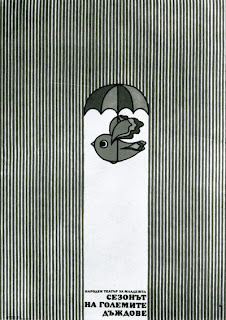 It seems like you can't get away with posters like this anymore... The only variety you get anymore is if you have to look at one giant head (of the lead actor) that takes up the whole poster, or several, slightly smaller heads (of the main actors/actresses). If anyone has any information about the posters creator, I would be happy to hear from you. Designed this print a few days ago, as another personal project. 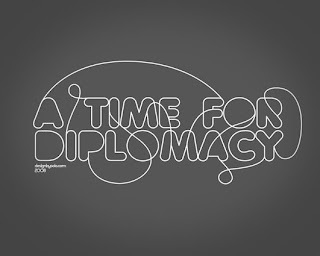 This phrase, "A Time for Diplomacy," had been playing over and over in my head for no real reason (I don't think I heard it anywhere) but it has proved to quite a true statement. 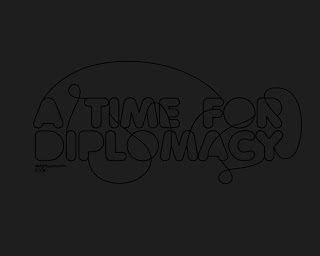 Diplomacy, or the skill of dealing with people, is an important ability no matter what your occupation is, but it proves to be invaluable as a freelance designer. Originally designed the dark-on-dark version, which looks great on a back lit screen (and is still the one I prefer), but it didn't turn out well during printing. 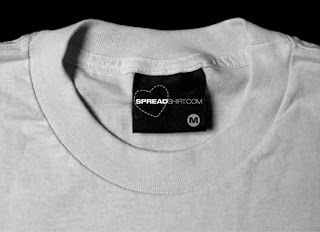 Therefore, I designed the higher contrast, lighter version which turned out excellent when printed. Opinions are welcome. 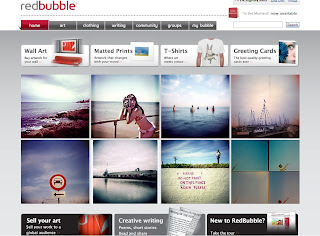 My photograph, Titan, was featured last night on the RedBubble homepage. I have been a member of Redbubble for a little over five months and this is my second homepage feature within that time frame, which is very exciting. All the works featured last night were photographs taken with a lofi camera (Lomo, Holga, Diana, etc.). 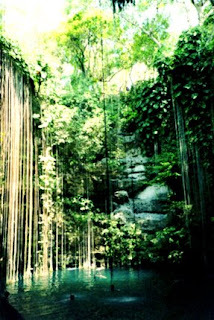 I took Titan with my Lomo LC-A+ on the Riviera Maya, Mexico last year. You can purchase framed, matted, etc. versions of Titan at my RedBubble store, or for a less expensive version check out the Solo Print Studio. 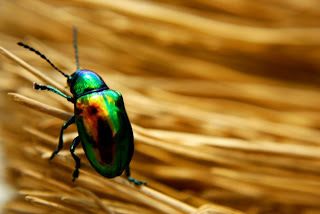 I used my macro lens for the first time when I photographed this little beetle last Summer. He was hanging around by my front door when I spotted him and by the time I got my camera ready to photograph him, he had move onto the broom. Got some really detailed shots of him (the colors of his shell are quite amazing; no Photoshop adjustments made). 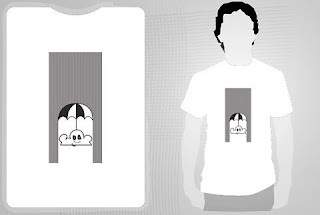 He was also the inspiration for the Eldritch t-shirt design, available at the shop. 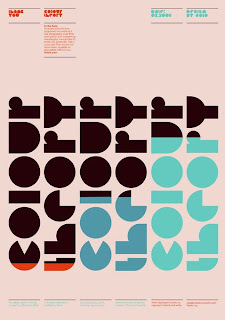 Uncovered some fascinating new work during my continual search for all things designed, a few days ago. 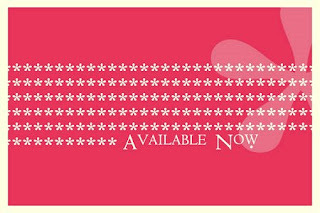 The work of Sarah France, the Cumbria based graphic artist, is both refreshing and inspirational. 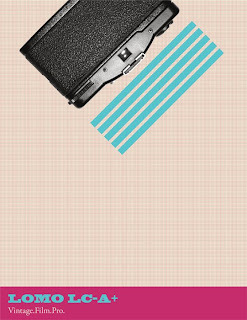 The vibe from Sarah's work hearkens back to the height of print design (stark, bold colors, typographic forms, and high contrast photographs). One of the most impressive aspects of Sarah's work is the unification of multiple mediums to achieve the final product (ex. pin & ink, stitching, hair, etc.). 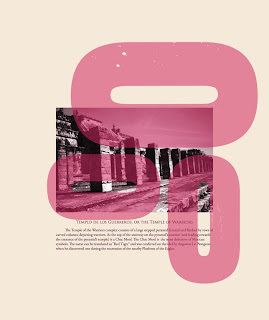 If your in the mood a fantastic visual experience, visit Sarah's blog or check out her portfolio at www.sarahfrance.com. I went downtown the other day to eat with some friends and brought my camera along. 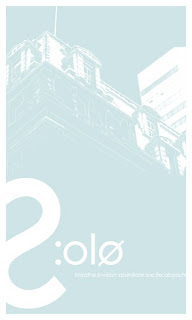 I ended up snapping some pretty decent shots, including the buildings I used to make this new print: Solo/Cincinnati. I choose this shot because of the juxtaposition of the two varying styles of architecture. It was also the perfect opportunity to try out some new typographic treatments I had been working on in the sketch books. Anyway, the finished product basically works as a promotional piece (plenty of room to add info) such as a postcard mail-out or an event poster to stick up on the streets. 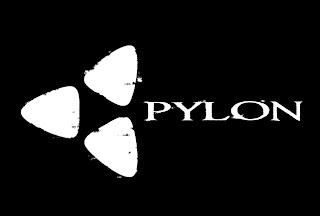 I decided to throw in a logo design I did almost two years ago for a locally owned speaker/audio equipment store called Pylon. So, after studying speakers for a while (there form mostly) I decided I wanted to go with an areal view. After much simplification I ended up breaking the shape down into what is pretty much a rounded triangle; I then duplicated the symbol and spun them inwards to create the logomark that sits to the left of the typography. 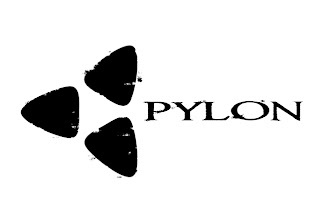 I chose to distress the logo and type to coincide with the demographic served by the store, which was agreed upon by Pylon.